Here at the Roswell Flight Test Crew, we've had the privilege of flying alongside firefighters and other first responders for the past six years, and it is the most important and rewarding work that we do: using drone technology to save lives. So, I was excited when Portland Community College invited us to come out and present to the students enrolled in their firefighter training program. 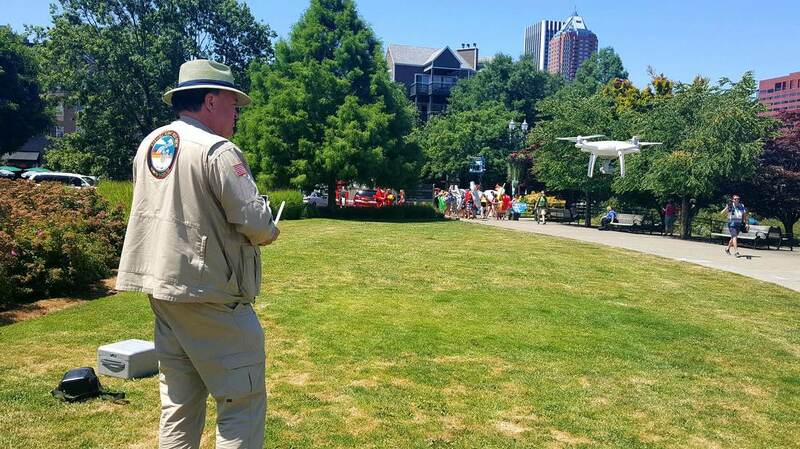 At the end of the flight demonstration, I coaxed everyone out into the brutal summer heat for a "dronie." 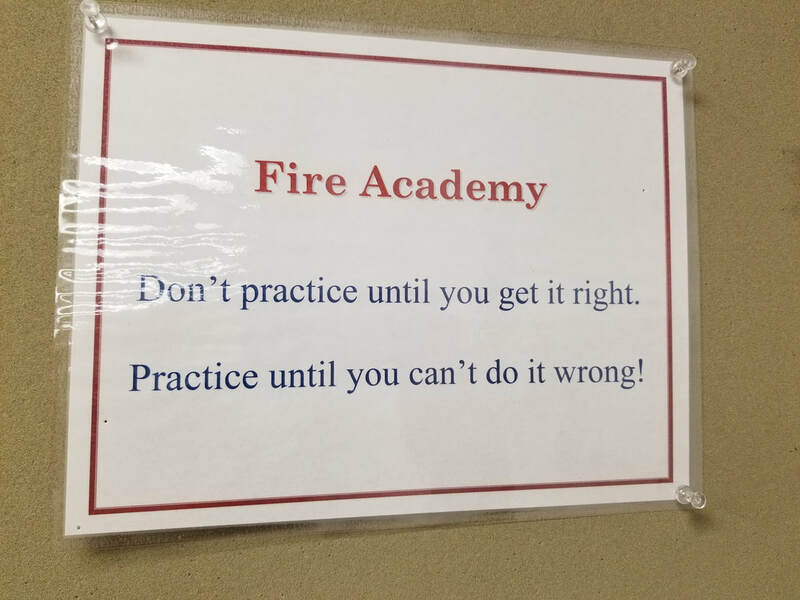 As is usually the case at an event like this, I picked up some lessons of my own along the way, including a piece of wisdom tacked to the bulletin board. Read it, and I'm sure you'll agree it applies just as much to drone pilots as it does to firefighters. A Visit to Oman, and More! 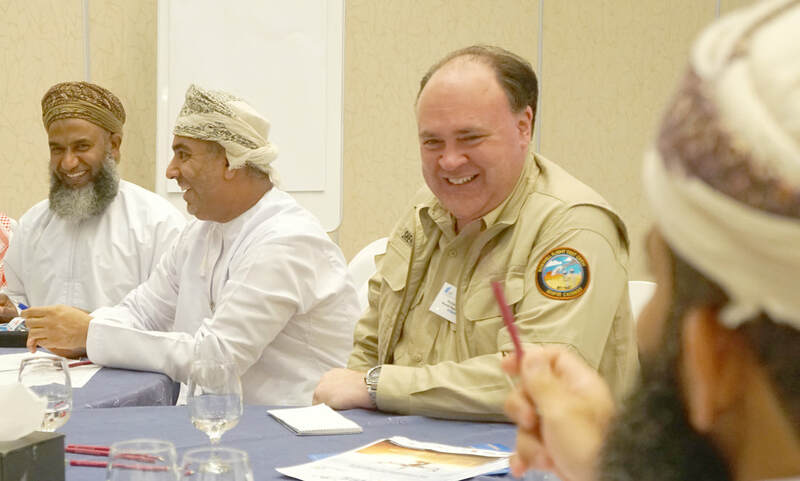 In the July-August issue of RotorDrone magazine, Patrick Sherman of the Roswell Flight Test Crew describes a trip earlier this year to Muscat, the capital city of Oman on the Arabian Peninsula. 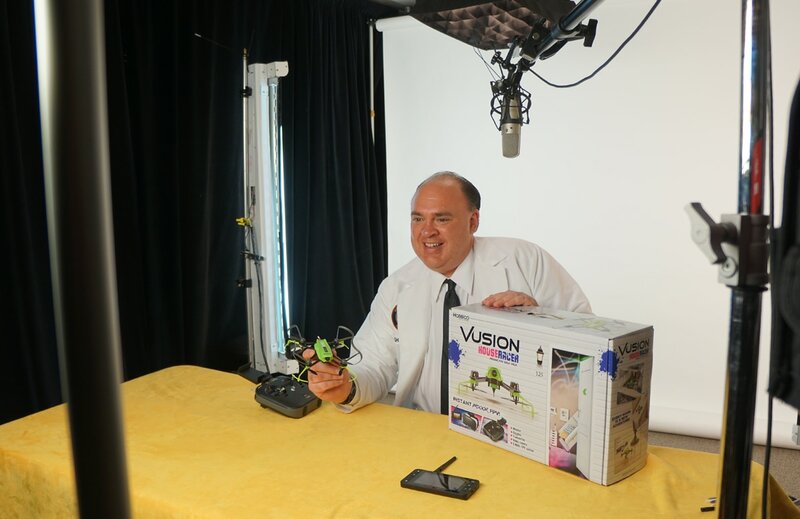 Speaking at the first-ever drone conference held in the desert kingdom, Sherman had the opportunity to see how this new technology is being received half a world away. He writes: "Yet, for all of the differences this trip to the other side of the planet revealed, it brought home to me that even more is the same: drone people like to talk about drones; there is an understanding that this technology is bringing something fundamentally new and different into the world; and, there is always tension between its limitless potential and concerns about safety, security and privacy." 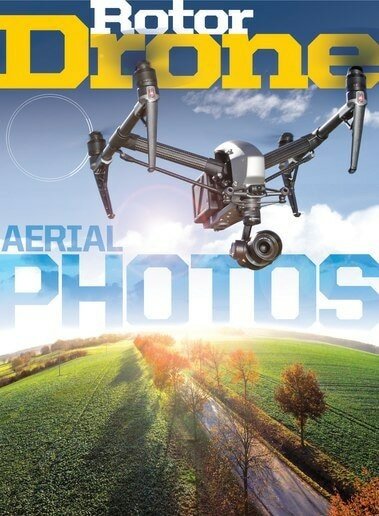 To read the full article, as well as his report on International Drone Day 2017, check out this issue, on newsstands now, and also available as a digital download from the RotorDrone website. This past weekend, we were in downtown Portland for the seventh Big Float, organized by our friend Willie Levenson and the Human Access Project. This was a great opportunity for recruit pilot Lori Brown (left) to stretch her wings and get some experience working in the field on an actual project, all while supporting a great cause. 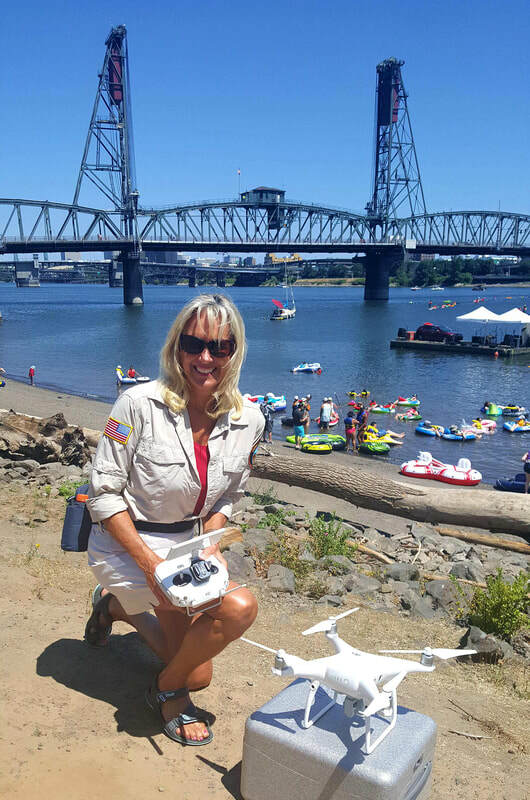 Here at the Roswell Flight Test Crew, we've been supporting this project for years now, having met Willie when we showed up to help document a successful world's record attempt on the Willamette in July 2013. The following year, we attended The Big Float for the first time, and posted a video about that experience on YouTube. 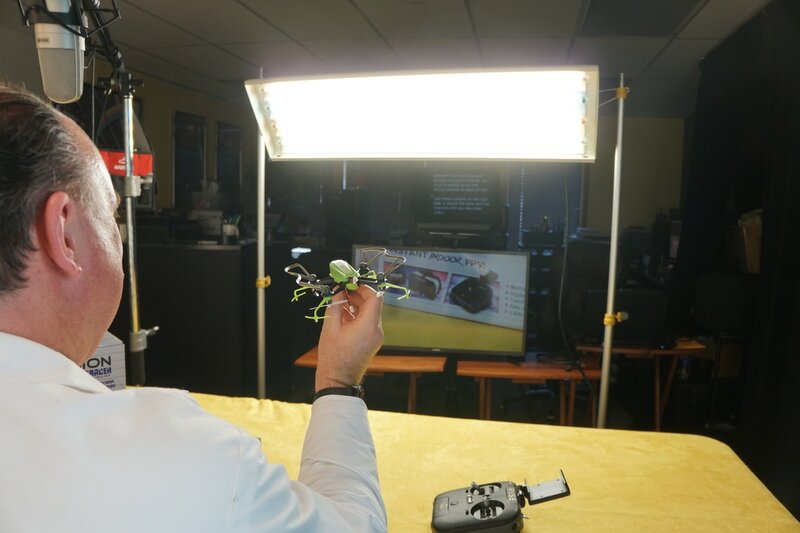 We were in the studio earlier this week, working on our unboxing and setup video about the Vusion House Racer from Hobbico. Watch for that to drop on our YouTube channel very soon... But in the meantime, check out the new lighting set up put together by the hard-working Roswell Flight Test Crew video team. 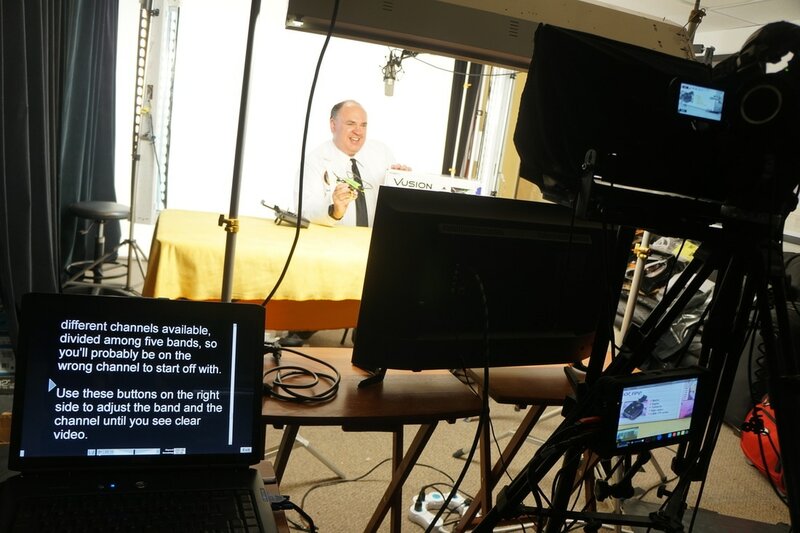 To improve the lighting on the products we review, they re-configured our lighting set up: adding one big bank of lights over the camera, as you can see in these photos. Pretty cool! In the March issue of Drone360, Patrick Sherman of the Roswell Flight Test Crew provides an in depth travelogue regarding is 2016 trip to Shenzhen, China. Known as "The Silicon Valley of China," the city was a quiet fishing village less than two decades ago. Today, it is home to more than 20 million people and most of the world's major drone manufacturers, including DJI. Instead of spending his time in the city's famed leafy downtown core with towering glass and steel skyscrapers, Sherman visits Shenzhen's hardscrabble "suburban" area and tours the factory of an upstart drone manufacturer pinning its hopes on a breakthrough technology that could dramatically transform the industry. Patrick Sherman of the Roswell Flight Test Crew is the author of three separate articles in the current issue of RotorDrone magazine. 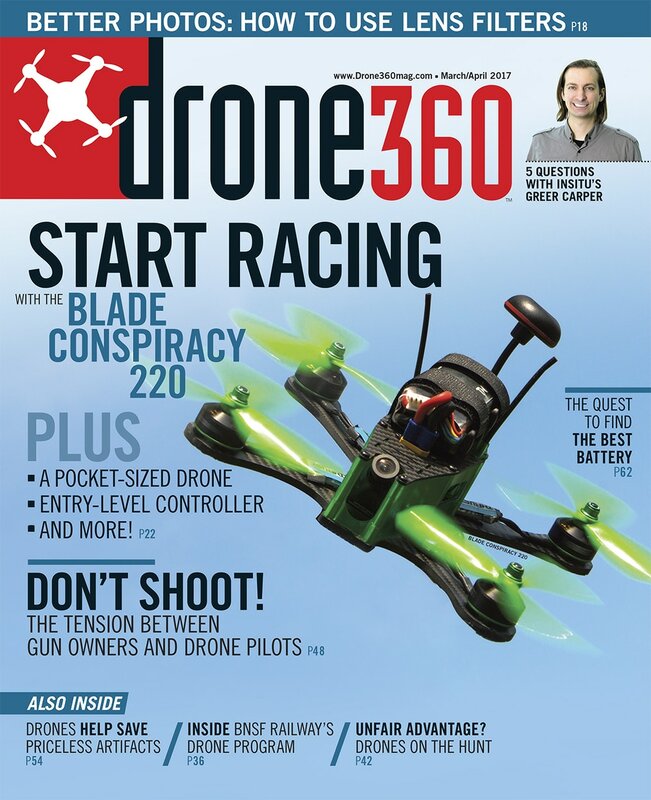 Check out the "Aerial Intel" section at the front of the magazine for coverage of the Vuzix Drone Racing Cup, held at the Westgate Las Vegas Resort & Casino during the Consumer Electronics Show this past January. Then, starting on page 26, read all about the new FLIR Duo thermal imaging camera. Capable of simultaneously capturing both thermal and visible light video, the Duo is compatible with any drone capable of carrying a GoPro Hero sports camera. Also, be sure to check out Sherman's review of the Eachine Goggles One HD video goggles, which incorporate a 1080p display. Surprisingly affordable, the Goggles One is suitable for both FPV racing and aerial cinematography.